Take flight with the best-selling pack in our lineup: the Redwing. New for 2016, the Redwing 50 features PerfectFIT™ suspension for on-body adjustments to customize your fit in seconds. Hybrid-loading U-zipper design works as both a top loader and panel loader, allowing easy access to all your gear. An additional stash pocket on the front of the pack makes it easy to tuck away a jacket or hoodie, and inside we've updated the organizers for maps, electronics, pens, and other travel essentials. The hydration sleeve is a dual-use pocket that can carry a laptop without worries. LightBeam™ single aluminum stay and Dynamic AirFlow back panel keep your load stable and comfortable. Whether your journey takes you to the streets of Chicago or the canyons of Colorado, the Redwing 50 has you covered. 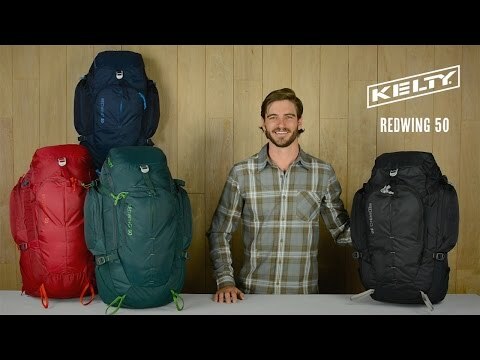 Best 50-65L Backpack on the Market! There isn't much I can say that hasn't been said in 12 pages of reviews, so I'm going to keep it short. 1. I have walked over 15,000 miles wearing this backpack. Needless to say, the perfect fit system does the job. If this pack isn't comfortable to you, you're adjusting it improperly - Watch a video or get help. 2. This is the best backpack you will ever own. Especially if you're looking for a pack in the 40-65L range. I've not had a 65L pack that can hold as much as the Redwing 50, while also keeping things organized. 2. Over the past 30 years, I've probably owned 400 backpacks. Ever since the original Redwing 50, and this newer counterpart, I've not touched another backpack, save for my Camelbak which I use when I'm not planning on walking all day, or when I know the area well enough that I know I don't need more. 3. 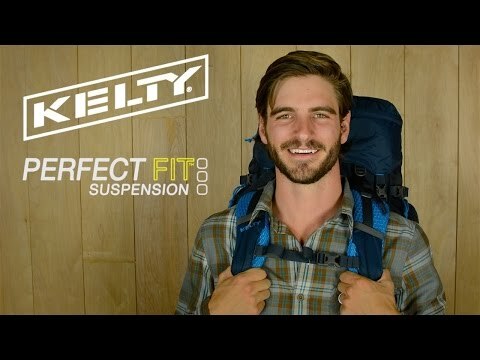 It is missing 2 things that could easily be added by Kelty, that I would gladly pay more for if they added. 3a. It needs a rainfly pocket. There is plenty of room to add this in. Osprey has one, even Camelbak's outdoor and biking packs have one. 3b. There needs to be at least one zippered pocket on the waist strap. The Redwing 50 has the thickest waist straps I have ever seen that so not include a pocket. I like my snacks Kelty, add a pocket. The Redwing Does It All! I'm a backpacking gear junkie, and this pack truly does it all. It gives its user the opportunity to do whatever they'd like as conveniently as possible. There's only one thing I wish this pack had, and that is zippered pockets on the hip belt. I've primarily used this as a travel pack, and it easily carries a week's worth of clothes. I absolutely LOVE it's organization! This makes living out of a backpack much easier. I've used this as carry-on luggage with no problem. The aluminum stay and supportive hip belt make carrying this thing around no trouble at all.